Unfortunately, these Logic PRO Refill Capsules are currently unavailable in this strength and flavour. They will be coming soon to Vape Mountain, so watch this space! In the meantime, you can enjoy our extensive range of available strengths and flavours! 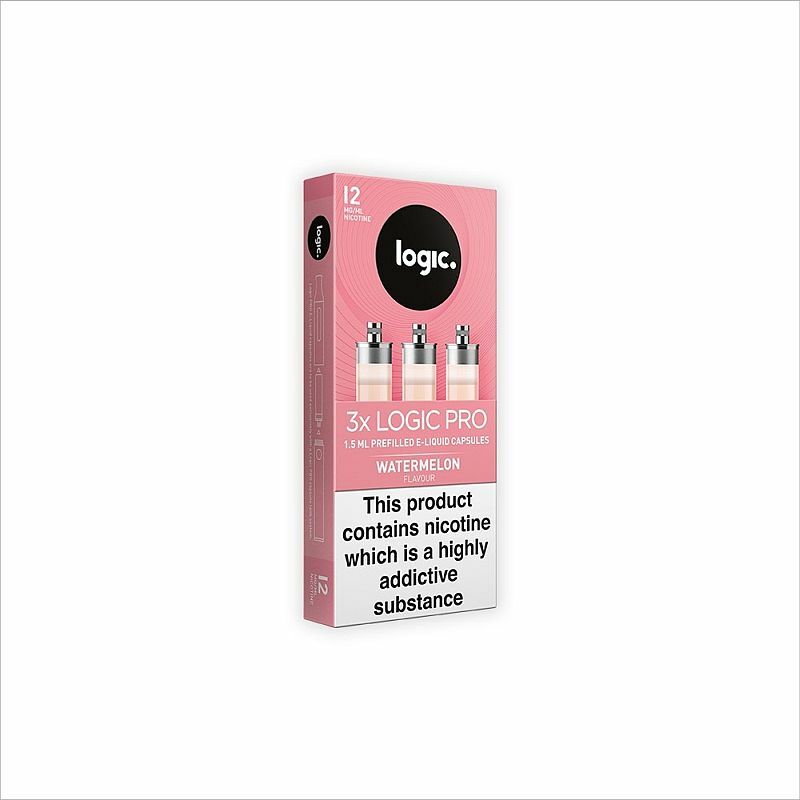 For use with the Logic PRO E-Cigarette, the Logic PRO Refill Capsules Watermelon 12mg are packed with the sweet and crisp flavour of watermelons. Each pack contains three e-liquid refill capsules with 1.5ml of e-liquid, designed to be spill-free for pop-and-go vaping. These e-liquid capsules are packed with the sweet and crisp flavour of watermelons. Reminiscent of a hot summer's day, this flavour is great for those looking for a refreshing vape with plenty of sweet goodness. 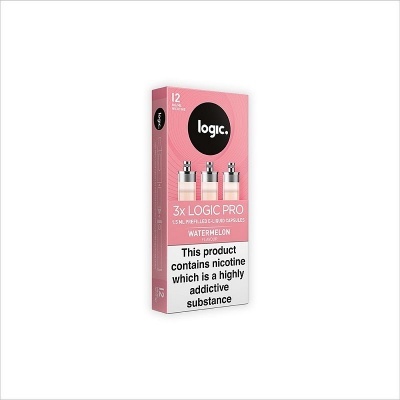 This pack of Logic PRO refill cartridges provides you with three capsules that have 12mg of nicotine per millilitre of fluid. This is considered a moderate level of nicotine, as other Logic PRO capsules can contain 6mg or 18mg per ml.